the main menu buttons of my hud aren't working...I just need to either know the command to open up the quickplay ui or the server ui. smarbergthe main menu buttons of my hud aren't working...I just need to either know the command to open up the quickplay ui or the server ui. quickplay UI as in the dropdown menu to go into casual, competitive, etc? Not really a hud question, but net_graph. I was wondering when I push tab, it's gonna show me my scoreboard and net_graph 2, but i want it to show net_graph 1, how would i go about doing that? Not really a hud question, but net_graph. I was wondering when I push tab, it's gonna show me my scoreboard and [url=http://prntscr.com/exodoz]net_graph 2[/url], but i want it to show [url=http://prntscr.com/exoghl]net_graph 1[/url], how would i go about doing that? typtoNot really a hud question, but net_graph. I was wondering when I push tab, it's gonna show me my scoreboard and net_graph 2, but i want it to show net_graph 1, how would i go about doing that? Edit the script that turns on netgraph, somewhere in your cfg's. It would depend on what script you're using exactly and where you put it in your cfg's, but the process would be the same and you just need to edit it to set net_graph 1 instead of 2. I'm trying to edit the cow mangler ammo meter in oxide hud, and i've had no luck finding the hud element that corresponds with it. I've snooped around the huditemeffectmeter files, but have had no luck with moving this one hud element. stizdoI'm trying to edit the cow mangler ammo meter in oxide hud, and i've had no luck finding the hud element that corresponds with it. I've snooped around the huditemeffectmeter files, but have had no luck with moving this one hud element. have you tried changing the field values found hudlayout.res? Koncept stizdoI'm trying to edit the cow mangler ammo meter in oxide hud, and i've had no luck finding the hud element that corresponds with it. I've snooped around the huditemeffectmeter files, but have had no luck with moving this one hud element. I have, sadly i've had no luck with that either :-(. my hud wont show me the targetid, even though in my TargetID.res i have enables and made visible everything. It can show, but only if i change a value of one of the fields, then change it back. How to fix the black bar for skinned weapon? Is there a resource for implementing tournament spec horizontal health bars? If not, what files should I be looking at to see how it is implemented (going to steal the method from wiethud unless there is a better hud implementation out there)? Stochast1cIs there a resource for implementing tournament spec horizontal health bars? If not, what files should I be looking at to see how it is implemented (going to steal the method from wiethud unless there is a better hud implementation out there)? There isn't really a resource for it. Mannterface was the first public example (colly and I both did it with the actual player's health before, I might still have the picture I used to explain it to Mannterface's maker somewhere...). It's basically just manipulating the bonus healthcross (the one that normally appears when you're at low health or have overheal) to always appear, and to fit within the bounds of your panel exactly. That way at max health, it covers the full panel, at half it covers half, and at 0 it's completely off-screen / out-of-bounds / has 0 width. Pretty much just look at spectatortournament.res, note its health's size and HealthBonusPosAdj and HealthDeathWarning, and check out spectatortournamentguihealth.res's PlayerStatusHealthBonusImage's position. Those should be all you need, though the posadj and the image's position would need changes depending on your panel size. HoppsHow to fix the black bar for skinned weapon? [quote=Hopps]How to fix the black bar for skinned weapon? Does anyone know how to remove the name of the item in loadout? like this old glitch, but actually on purpose. chostarmanDoes anyone know how to remove the name of the item in loadout? How do i move and resize the name/health in this and remove background of this panel ? In the hudas iscariote hud files, there isnt a classloadoutpanel.res. AfsHow do i move and resize the name/health in this and remove background of this panel ? To remove the Bg set the wide value of TargetIDBG_Spec_Blue and TargetIDBG_Spec_Red to 0, Inside the targetid.res! [quote=Afs]How do i move and resize the name/health in this and remove background of this panel ? change text_ypos to a value so it is outside of the panel or change tall to 0 for namepanel In the hudas iscariote hud files, there isnt a classloadoutpanel.res. 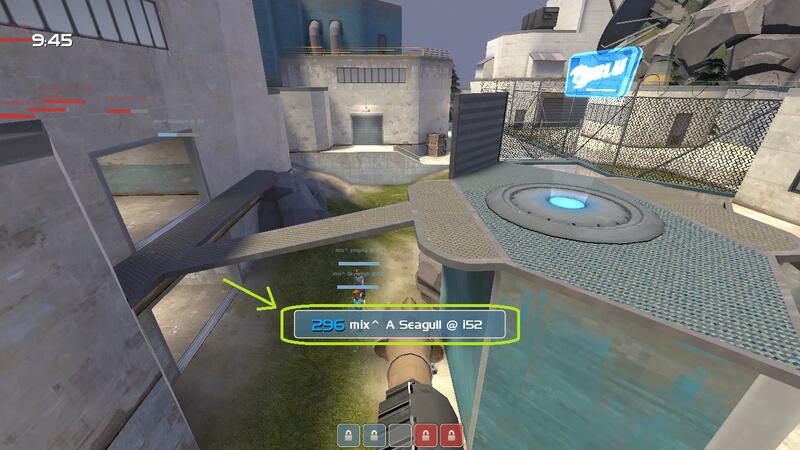 There has to be if you made that screenshot, if it's not there, same trick still applies if you modify the default file or one from a different hud. 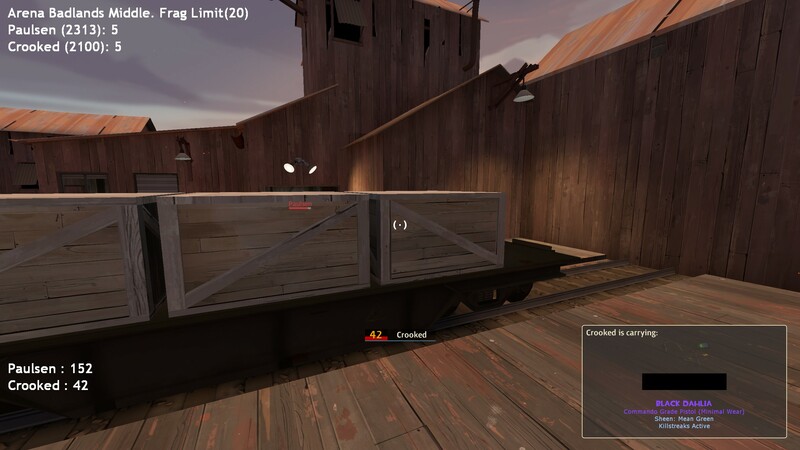 Where can i find this, the +25, +100 when you pick up a health pack, and move it? I basically just want to move it to be above my health, right now it's in the bottom left of my screen. I'm using m0re's if that helps too. Where can i find [url=http://prntscr.com/f2hwry]this[/url], the +25, +100 when you pick up a health pack, and move it? I basically just want to move it to be above my health, right now it's in the bottom left of my screen. I'm using m0re's if that helps too. Can anyone help me make this compatible for 4:3? EDIT : Wrong HUD link ,sorry. typtoWhere can i find this, the +25, +100 when you pick up a health pack, and move it? I basically just want to move it to be above my health, right now it's in the bottom left of my screen. I'm using m0re's if that helps too. Koncept, change the values in what way?